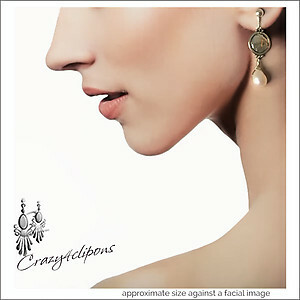 Features: Beautiful earrings, they have a renaissance quality to them. Hammered sterling silver "shield" is complimented with a fresh water pearl teardrop - all hand wrapped in sterling silver wire. 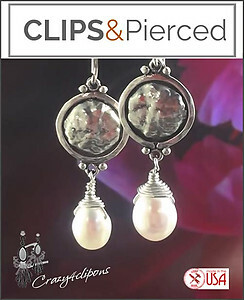 These earrings are very elegant and they would look great for special occasions, brides or anyone on the wedding party. Specs: Sterling silver round "shield" components, fresh water teardrop pearls, sterling silver wire.